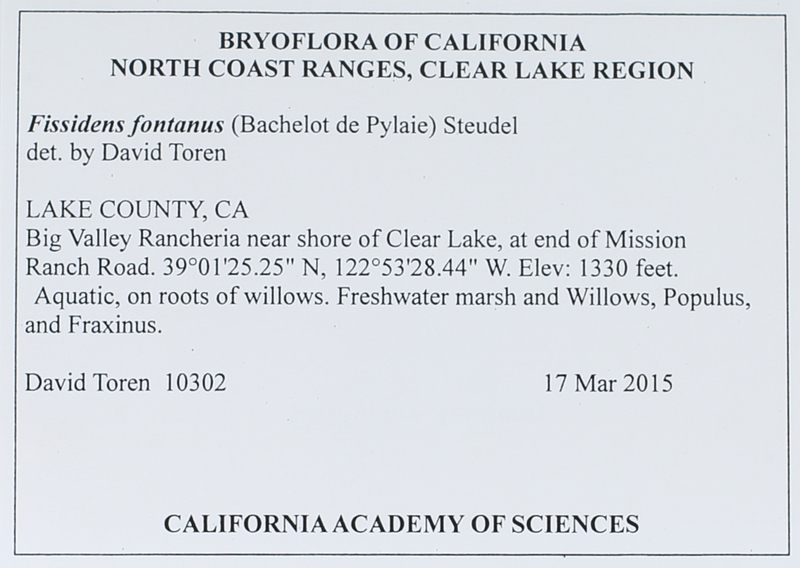 Locality: United States, California, Lake, NORTH COAST RANGES, CLEAR LAKE REGION. Big Valley Rancheria near shore of Clear Lake, at end of Mission Ranch Road. Habitat: Aquatic. Freshwater marsh and Willows, Populus, and Fraxinus.